Day #2 of Taylored Expressions Release! Today is Day #2 of Taylored Expressions October Release. Yesterday was day#1 of the release. This release is all Christmas themed. 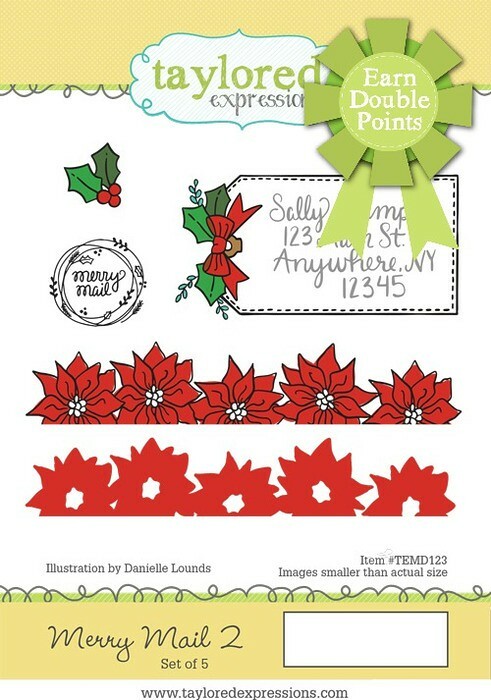 So here come more Christmas products to make your Christmas cards for this year. As always I am showcasing two new products today. 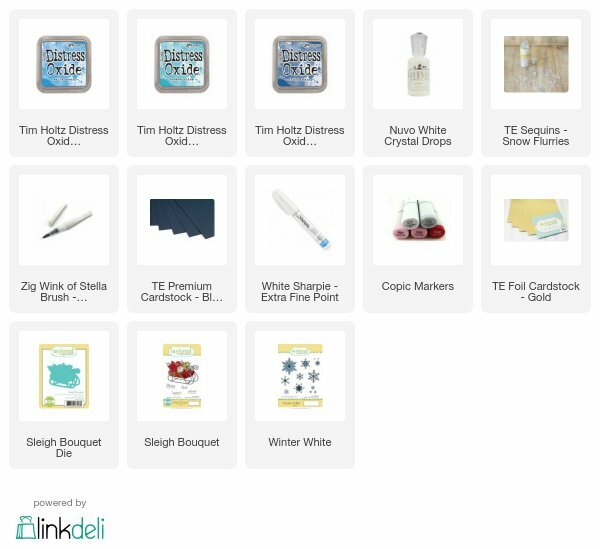 The first one is called Winter White stamp set which I paired with Snowed in Sayings sentiment stamp set. 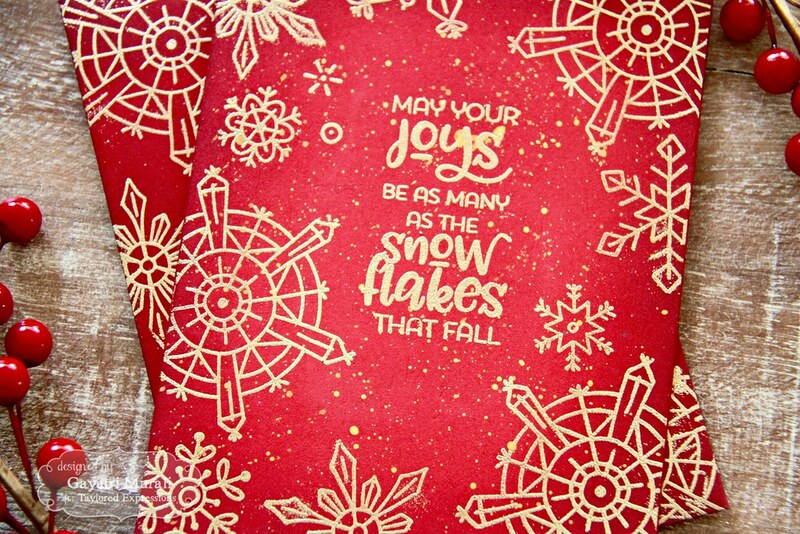 I used the beautiful snowflakes stamp set called Winter White in a non traditional way. Traditionally snow flakes go with winter scene using shades of blue. 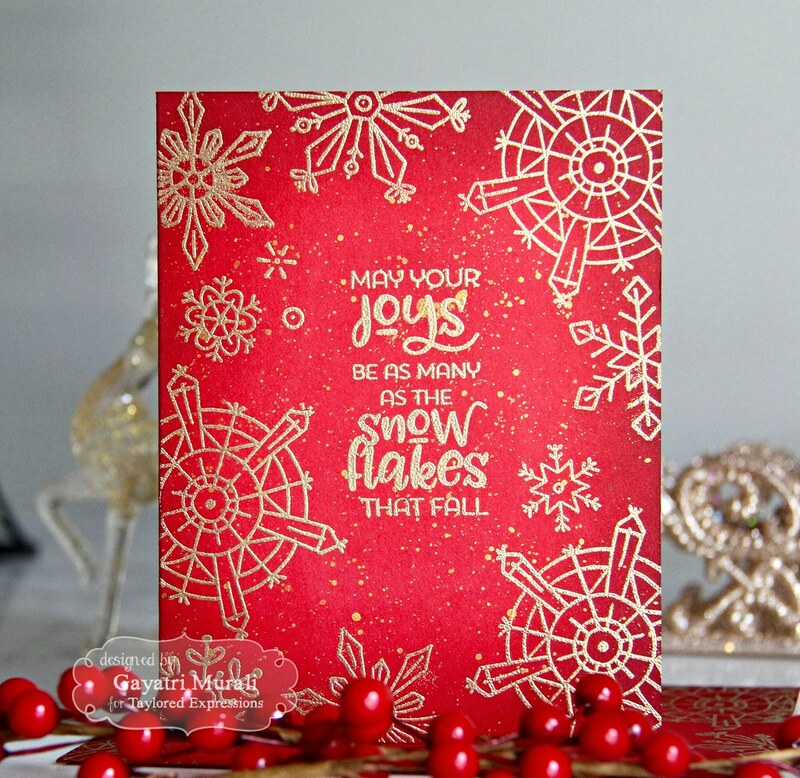 But I gold embossed the snow images on red card base with gold embossed sentiment from Snowed in Sayings. Then I spattered some gold paint. To add depth, I sponged Cherry Red and Mulled Wine TE dye inks on the edges. 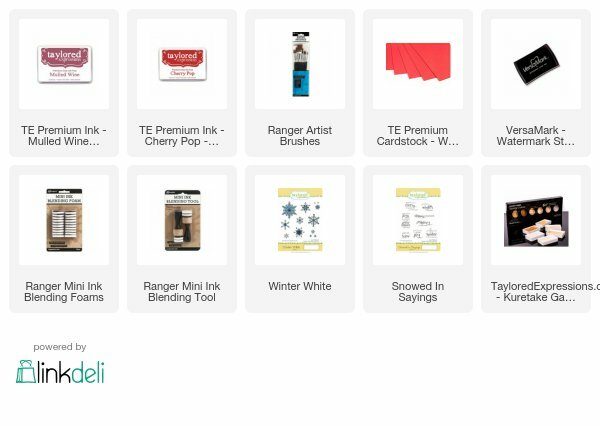 All the products used to make this card is listed below. 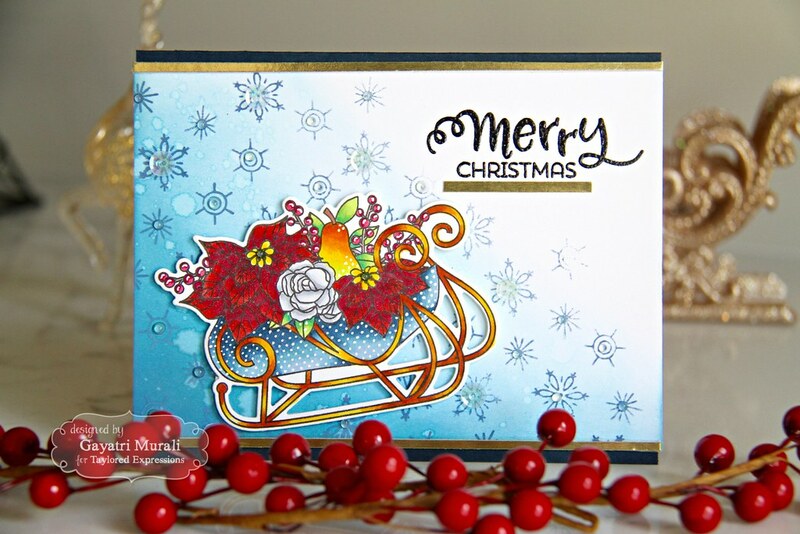 The second product I am showcasing today is called Sleigh Bouquet and coordinating die. I love this set. This is a small set because it has sentiments in it too. Here is my card using this set and coordinating die. 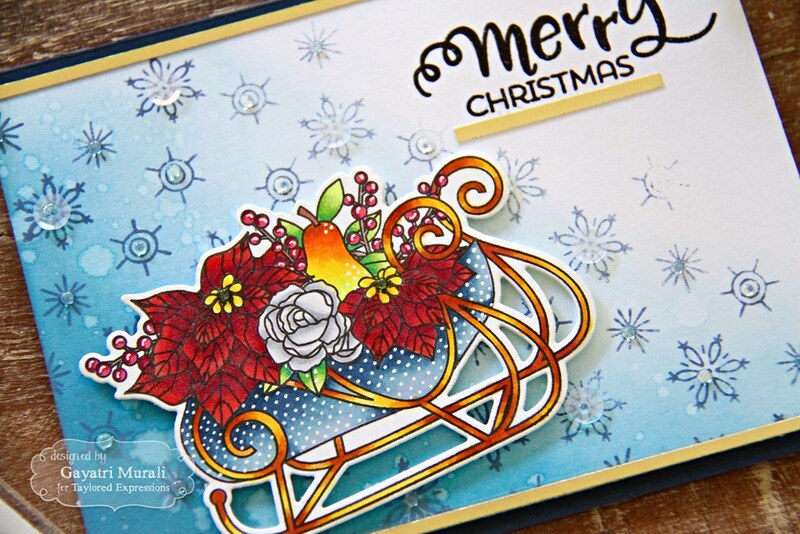 I coloured the sleigh image with copic markers and die cut the image out using the coordinating die. I love that the die cuts out the inner pieces as well. I added some shimmer using Wink of Stella clear shimmer pen and Sakura white gel pen. For the background, I sponged Distress Oxide inks in Salty Ocean, Broken China and Faded Jeans on one side of the white panel. Using the smaller snowflakes from Winter White stamp set, I stamped them using Faded Jean Distress Oxide ink. I used full strength ink to second generation to third generation to fade it away to the white end of the panel. I also spattered clean clear water to get texture. I stamped the sentiment on the top right on the white end of the panel. This panel is adhered to the Blue Corn card base. Then the sleigh is added at an angle using foam adhesives. To add festivity to the card, I added think strips on gold foil cardstocks on the end of the panel as well as under the sentiment to ground the sentiment. Finally I used White Blizzard Nuvo Crystal Drops and Snow Flurries sequins to embellish the card. 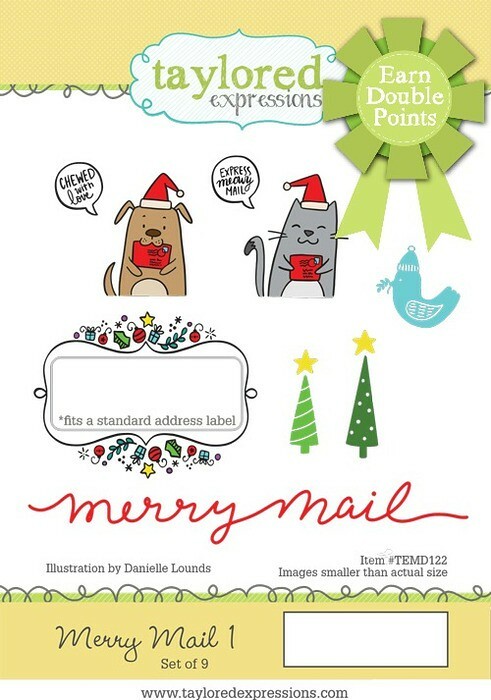 Help at last to help us create beautiful envelopes to go with the beautiful cards! Must have!